Hungarians living in Slovakia still struggle for their language rights and national identity eleven years after the country joined the European Union. According to press reports, a Hungarian saleswomen has lost her job in Somorja (Šamorín / Sommerein), a town near the country’s capital Pozsony (Bratislava / Pressburg), because she spoke in Hungarian to local costumers. The saleswoman had worked previously for German shoe and sportswear retail chain Deichmann in Pozsony and later in her home town as well for the same company. Disapproving her habit of speaking Hungarian with locals, one of her colleagues complained to the boss of the store, who told the woman not to use her mother tongue anymore during work time. Two days later she was fired. “I live here, thus I know a lot of people. I spoke in Hungarian only to Hungarians, I used Slovak language with others”, the saleswoman explained. The head of Deichmann’s Czech and Slovak unit told news site trafik.sk that using Hungarian language would never be a reason for dismissal in the company as all the Hungarian employees are allowed to use their mother tongue with fellow Hungarian costumers. The reason for sacking the saleswoman is something else, but it will not be disclosed due to personality rights and labour law, the company said. 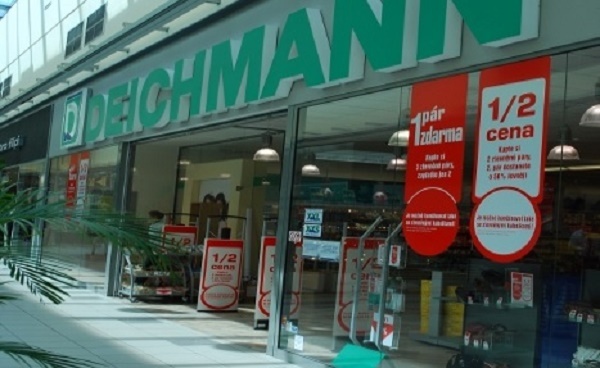 The Hungarian unit of the multinational company has also released a statement regarding the case, claiming that Deichmann has always been “committed to the respect of nationalities and local cultures.” Our group employs more than 80 people who belong to one of the national minorities. Furthermore, having good and close relations with our costumers serves our business interests as well. However, the Hungarian saleswoman is not willing to give up her job and decided to issue an official complain to the German owners of the company. The legal aid service of civil organisation “Roundtable of Hungarians in Slovakia” has also offered support to the woman. “Unfortunately we are aware of more similar cases in Somorja.”, says Klaudia Szekeres, lawyer of the legal aid service. According to the 2011 census, the municipality of Somorja had 7,309 Hungarian and 4,365 Slovak inhabitants. Despite the storms of the 20th century, still about half a million ethnic Hungarians live in Slovakia, mostly in the Southern regions of the country.